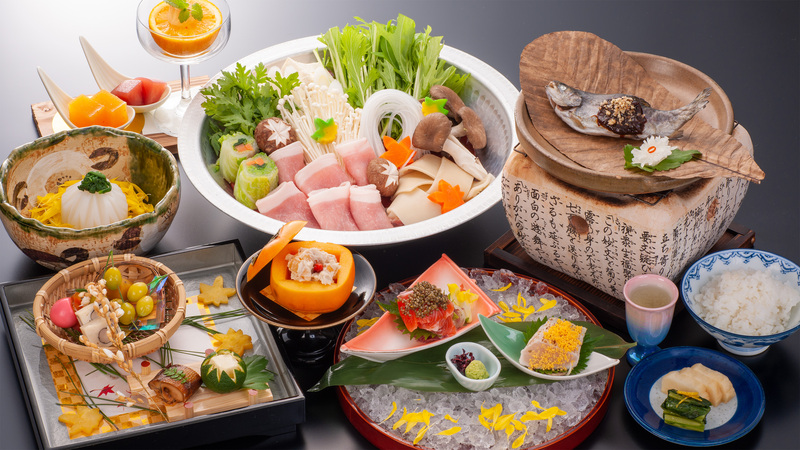 and offer countryside style Kaiseki courses to highlight their quality. Gunma speciality pork “Joshu Mugi Buta” is known for its balanced marbling of fat, producing a fine grained texture and rich flavor. The hot pot comes with not only the pork but also locally grown vegetables. We recommend to make Japanese-style congee “Zosui” after enjoying the pork and vegetables. 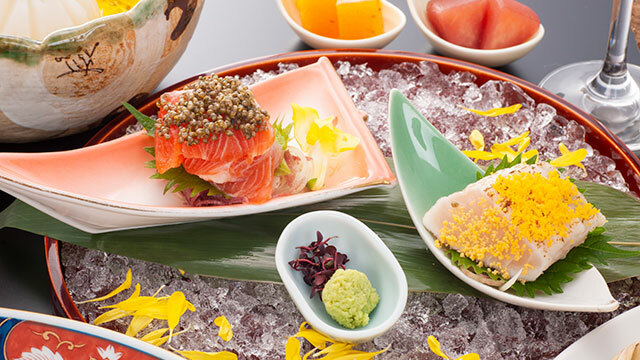 Gunma prefecture does not face the ocean, so we proudly serve freshwater fish Sashimi, including “Gin-hikari” (Gunma premium rainbow trout). 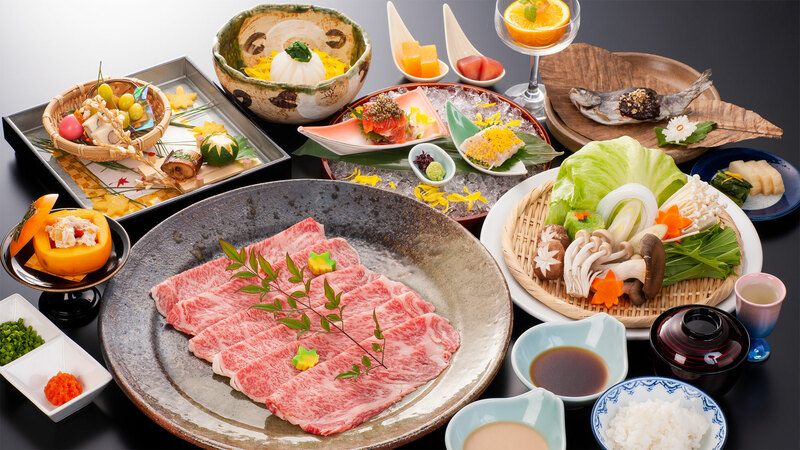 All basic Sukiyaki ingredients can be found locally in Gunma. 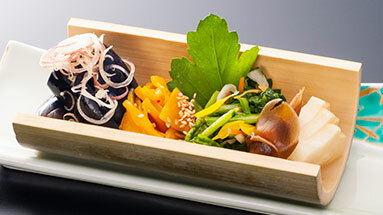 Shojuen offers A4 rank Gunma Wagyu with locally grown vegetables for this course. Please enjoy these ingredients with our chef’s homemade Sukiyaki sauce and fresh eggs. 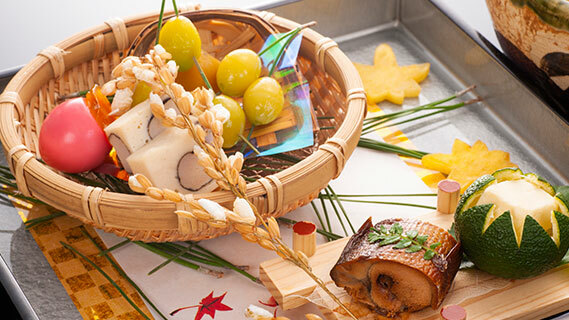 We offer seasonal appetisers for the course. 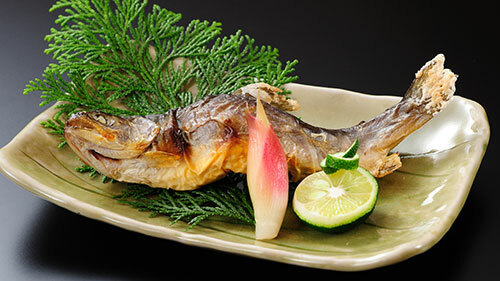 For spring, we serve mountain vegetables, and for summer, we serve young Ayu fish or homegrown tomatoes. For autumn, persimmons, mushrooms, and sweet potatoes may be served, and for winter, parsnips, kumquats and other seasonal ingredients will be served. 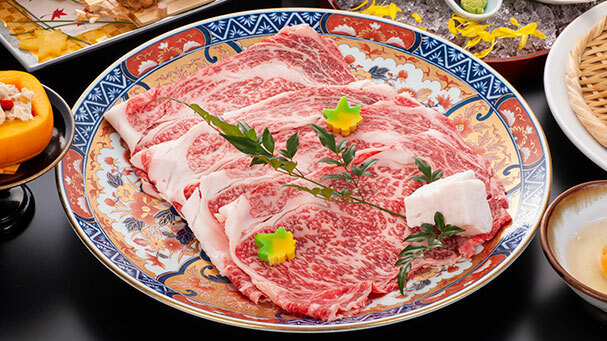 Thinly sliced A4 rank Gunma Wagyu quickly dipped and cooked in boiling hot spring water. We serve a sesame sauce and Ponzu citrus soy sauce mix for seasoning. 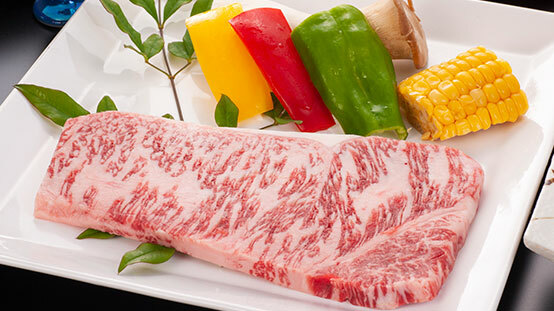 Shabu-shabu meat is best consumed immediately after cooking. 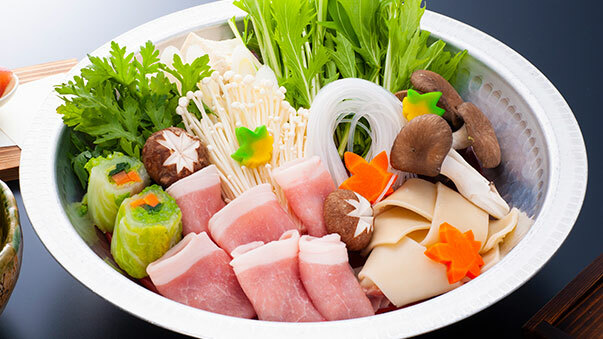 Please enjoy the mouth-watering bliss of Shojuen Shabu-shabu. 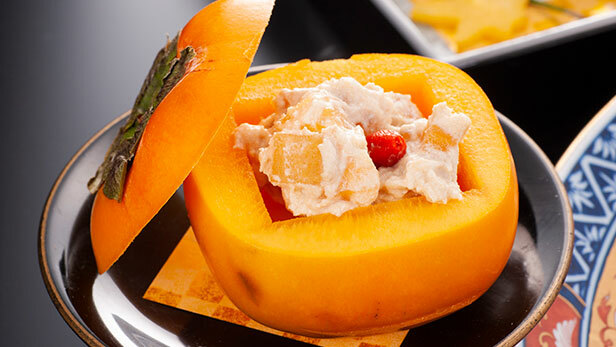 This appetizer tempts your tastebuds with the traditions of the Japanese winter season. 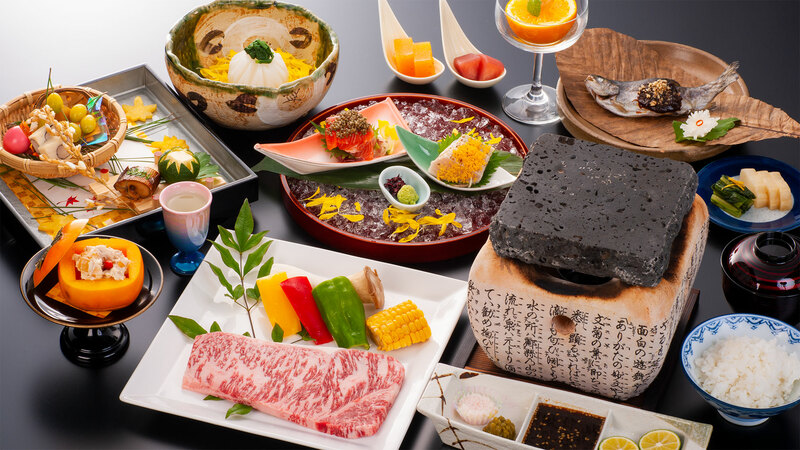 A4 rank Gunma Wagyu beef is grilled on a volcanic stone. The volcanic stones’ porous surface absorbs excess fat and oils of the beef. The grilled beef will be crispy on the outside and juicy and soft on the inside. Please enjoy this seasonal dish. 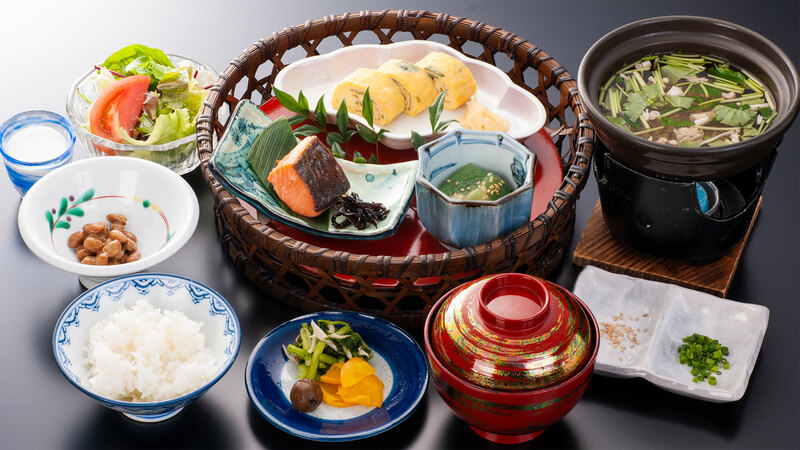 A traditional Japanese-style breakfast will comfort both your mind and body. 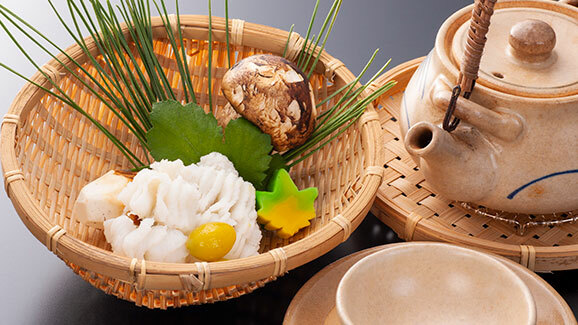 The breakfast includes Shojuen’s long-serving special buckwheat porridge and freshlymade Japanese-style fried eggs. 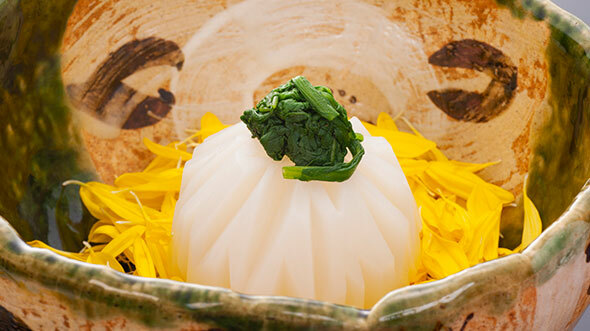 In addition to Kaiseki course menu, we offer à la carte dishes to enjoy more of nature’s blessings. 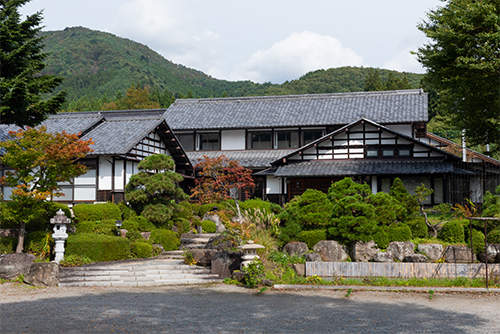 Shojuen offers delicious ingredients from the nature-rich Gunma prefecture. 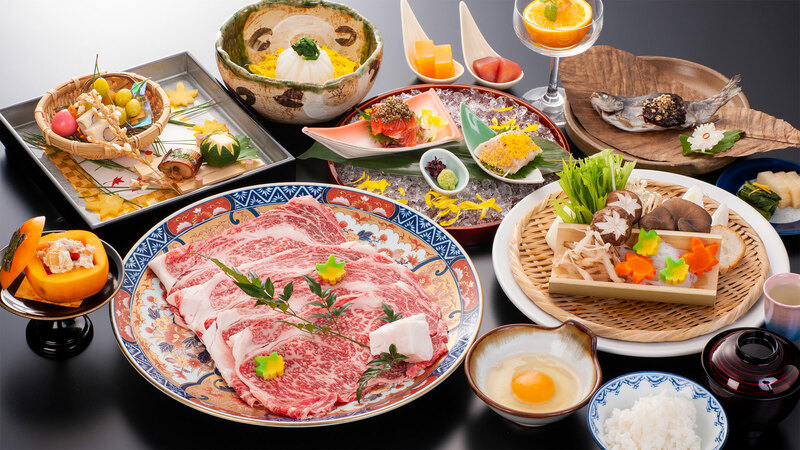 We source locally grown ingredients including rice, Gunma specialty pork, Gunma Wagyu beef, and local high-quality Sake (Japanese rice wines). 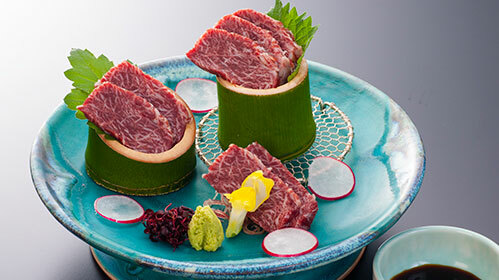 Gunma specialty pork: Gunma speciality pork “Joshu Mugi Buta” is known for its balanced marbling of fat, producing a fine grained texture and rich flavor. 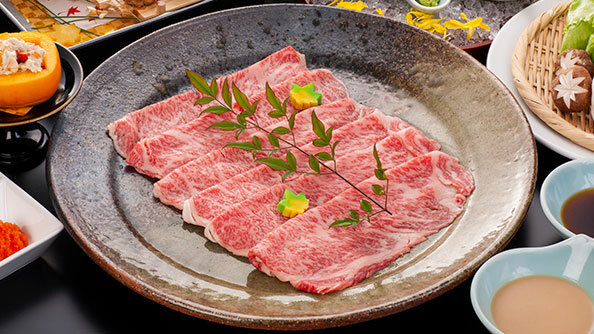 Gunma Wagyu beef: This brand of beef is raised in Gunma’s farmland pasture. 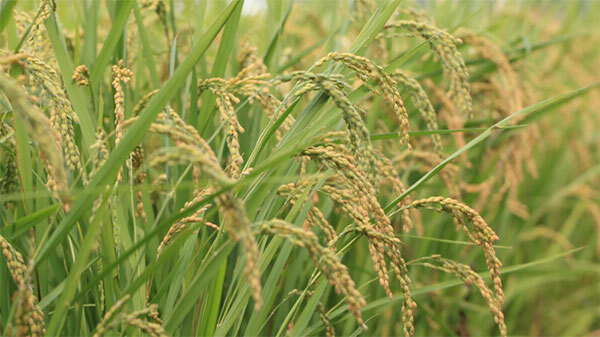 Locally grown sun-dried Koshihikari rice: Gunma’s local mountains provide pure water for the best quality rice. 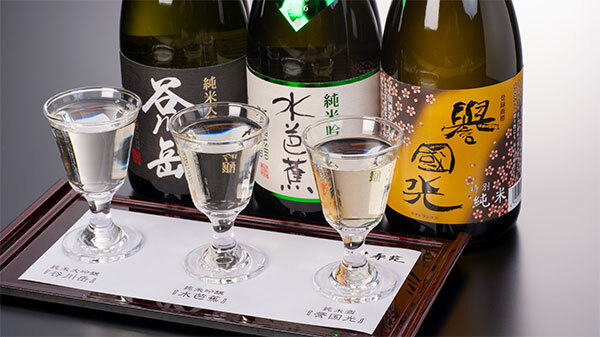 Local Sake(Japanese rice wines): Sake stocked from local environmentally conscious breweries using Gunma’s local mountain spring water. 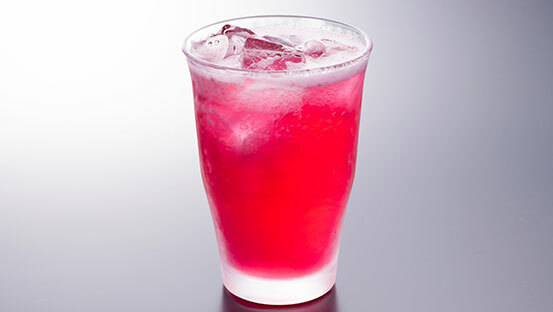 Since we are a small family owned hotel, we are unable to modify ingredients (e.g. 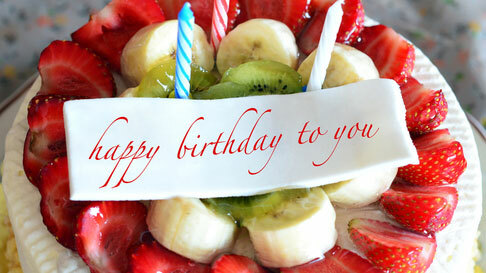 freshwater fish) or offer allergen-free dishes. Kitchen and cooking tools are shared for all dishes.